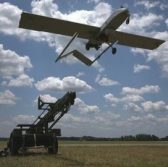 Textron‘s AAI Corp.subsidiary has received a $41.9 million contract modification for the delivery of 36 Block III kits for the U.S. Army‘s Shadow tactical unmanned aircraft systems. The service branch obligated the full modification amount at the time of award from its fiscal 2017 other procurement funds, the Defense Department said Monday. AAI will perform work in Hunt Valley, Maryland, through Dec. 1, 2021. Shadow TUAS is designed to offer reconnaissance, target acquisition, surveillance and force protection capacities for brigade combat teams. The system can be transported by C-130 aircraft and integrates with various military platforms such as the All Source Analysis System, Joint Surveillance Target Attack Radar System Common Ground Station and the Defense Information Infrastructure Common Operating Environment.